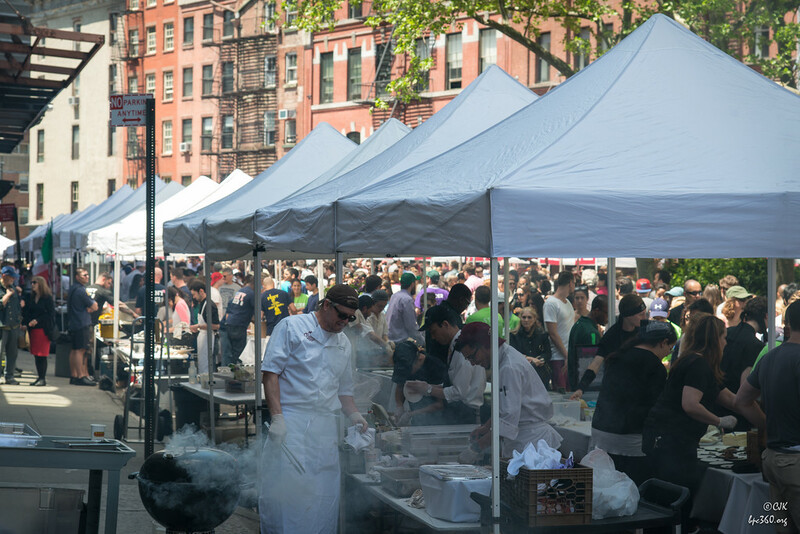 Taste of Tribeca is almost here! Purchase General Taste Tickets now to save 10% off the regular price! 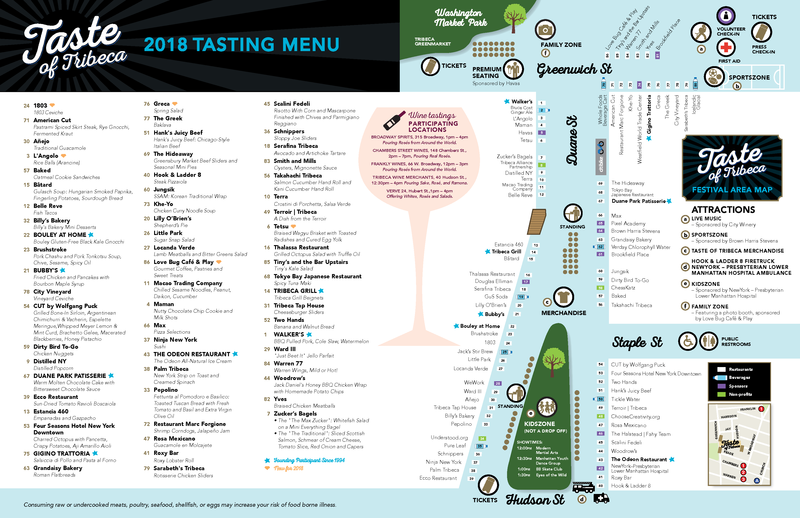 Ticket price includes a Tasting Card, entitling patrons to SIX tastes of any dish throughout the festival. With so many restaurants to choose from, picking six will not be easy! Tickets are $50 the day of the event and $45 if purchased in advance. This event is rain or shine May 16 from 11:30am until 3:00pm. Family Tables $700 – Family tables seat four and include: four Taste tickets, personal food runners, reserved seating, designer t-shirts, and a gift bag from Taste of Tribeca sponsors. Friends Tables $1000 – Friends tables seat six and include: six Taste tickets, personal food runners, reserved seating, designer t-shirts, and a gift bag from Taste of Tribeca sponsors.